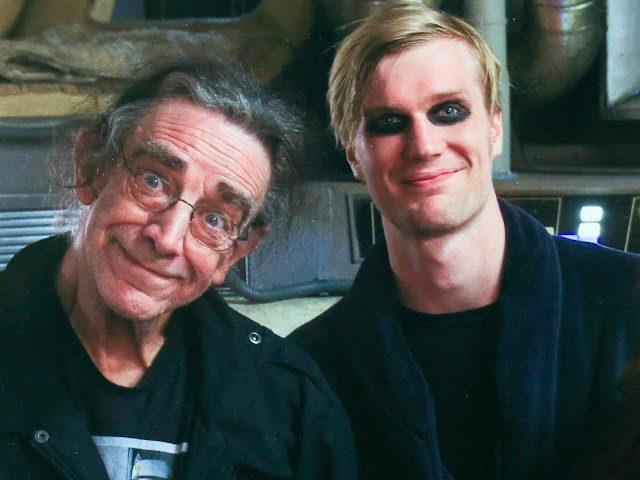 For forty years the legendary Peter Mayhew has been the man behind the mask of the mighty Chewbacca and breathed life into the character in the first seven live-action Star Wars films. Due to his age and physical limitations, Mayhew worked in tandem with another actor to portray Chewie in The Force Awakens. Now it appears the Peter is officially passing the torch, err, fur, to the next generation. The still untitled Han Solo films opens in theaters on May 25th, 2018. They should title the movie "Wookie Fistbump!"